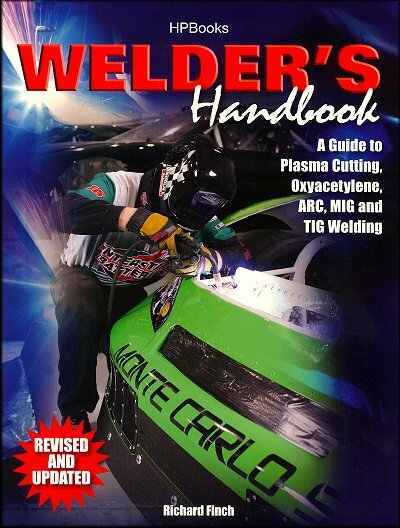 Since the first edition of the Welder's Handbook came out in 1985, thousands of automotive and aviation engineers, students, racers, mechanics, craftsmen and enthusiasts have benefited from the welding techniques and tips from certified master welder and author Richard Finch. Step-by-step techniques are fully illustrated to help you use the latest welding technology to join everything from mild steel, aluminum and chrome moly to magnesium and titanium. Whether you're building an engine stand, race car chassis or airplane fuselage, you'll learn the proper techniques to get the job done right. 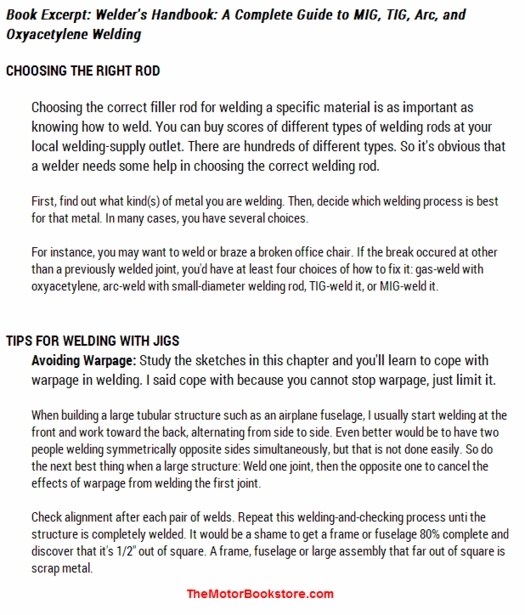 Ask a question about Welder's Handbook: A Complete Guide to MIG, TIG, Arc, & Oxyacetylene Welding.